Lithium metal is considered the best option as a material for anodes in high-energy batteries, the researchers said, because of the metal's high potential for providing large amounts of energy and capacity in a given mass. Yet existing lithium metal electrodes, limited by low capacity and utilization efficiency, have not come close to reaching that potential. In a new study May 14 in the journal Proceedings of the National Academy of Sciences, a team led by Yale's Hailiang Wang describes a new approach to creating more efficient lithium metal electrodes. 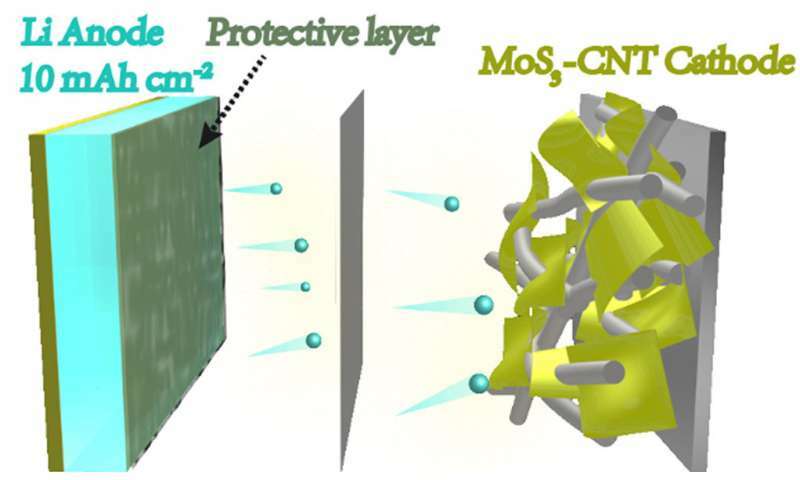 The process yields a protective layer that enables lithium metal anodes to be efficiently discharged and charged at high capacities. Hailiang Wang is an assistant professor of chemistry and a member of the Energy Sciences Institute at Yale's West Campus. The first author of the study is Qiuwei Shi, a graduate student at Donghua and visiting student at Yale. Additional authors are Yiren Zhong and Min Wu from Yale and Hongzhi Wang from Donghua.